Formula One champion Lewis Hamilton crashed into the tyre wall but still stayed top of the timesheets after a rain-lashed Canadian Grand Prix practice on Friday. The Mercedes driver put Monaco disappointment behind him to set the pace in a dry morning session before the heavens opened in the afternoon and rendered the Circuit Gilles Villeneuve undriveable. 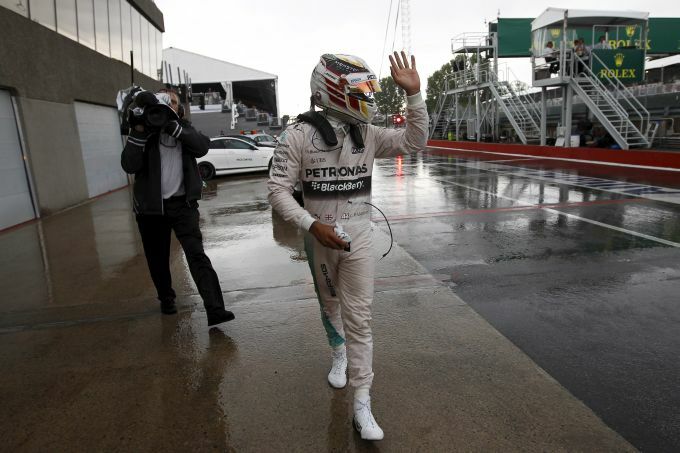 Hamilton was caught out in the deluge after going out on intermediate tyres, a mere passenger as he braked into the hairpin turn 10 with the car carrying straight on into the barriers at reduced speed. The red flags came out with about 40 minutes remaining, 10 minutes after the rain first started falling. "The ending might have been so-so but it's generally been a pretty good day," said Hamilton. "I made a couple of mistakes -- pushing too hard and going over the kerbs at the final chicane and then what happened at the end there. "Looking at the replays, I wasn't going that fast. But it was like sheet ice into Turn 10 so the car aquaplaned and I went off," he added. 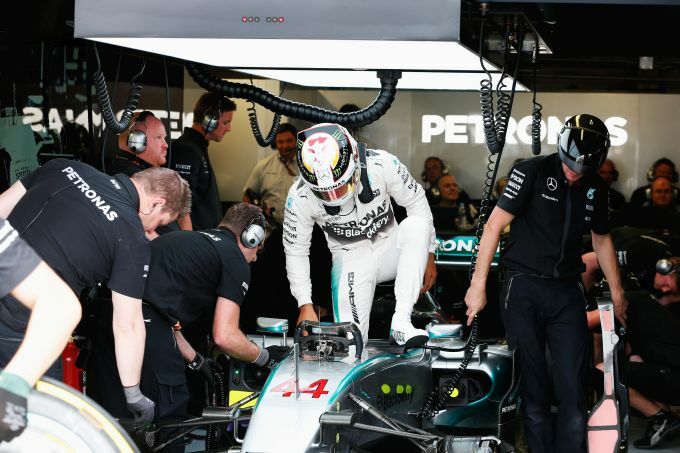 Mercedes technical head Paddy Lowe said the car had also suffered some minor damage to the rear of the car caused by the recovery tractor swinging it around but all would be well for Saturday's qualifying. If the times meant little, Hamilton still needed the morale boost after a pitstop blunder cost him a surefire win in Monaco 12 days ago and handed victory to team mate Nico Rosberg instead. His fastest lap in the morning of one minute 16.212 seconds was 0.415 quicker than Rosberg's fastest effort, and he improved that in the afternoon to 1:15.988 despite crunching over the kerbs. Mercedes were again the team to beat, at a track whose long straights reward engine performance but put a heavy burden on brakes, but Ferrari also looked competitive. Hamilton, a three-times Canadian GP winner who leads Rosberg by 10 points after six races, had a late spin at the hairpin before lunch but without consequence. Mercedes-engined cars filled the top four slots in the cloudy opening session, after morning rain, with Romain Grosjean's third-placed Lotus more than one and a half seconds slower than Hamilton. 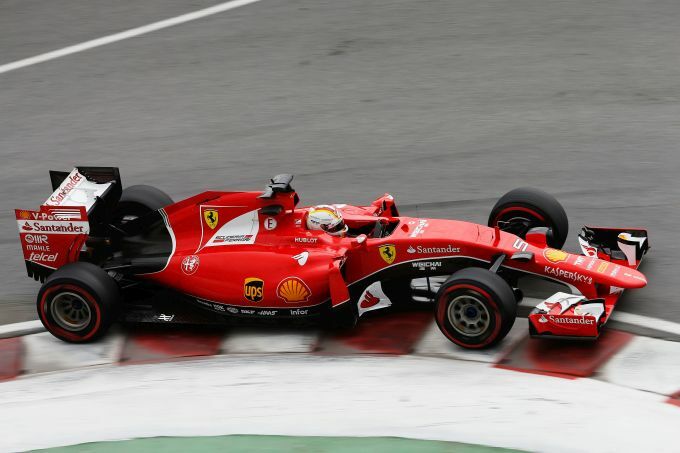 Ferrari's Sebastian Vettel was fifth fastest, behind Nico Hulkenberg's Force India, and then second in the afternoon with team mate Kimi Raikkonen third ahead of Rosberg. "I don't know exactly where we are with our speed but for sure Ferrari seems to be a threat. They were very quick today," said Rosberg. Fernando Alonso, still chasing his first points of the season, was ninth in the morning for Honda-powered McLaren while Dutch 17-year-old Max Verstappen was 10th for Renault-engined Toro Rosso. Verstappen's Spanish rookie team mate Carlos Sainz had a more troubled first session and had to be pushed back to the garage after stopping at the end of the pitlane. He also spun earlier in the morning.